Sitelock vs Wordfence vs Sucuri vs Incapsula vs Cloudflare & More! Home > Tech > Web Development > Best WordPress Security Plugin: Wordfence vs Sucuri vs Incapsula & More! Every web platform has security vulnerabilities. WordPress, however, is by far the most popular content management system (CMS) around the world, making it an especially attractive target for hackers. These cyber criminals spend a ton of time and energy identifying WordPress vulnerabilities. So how can you protect your site? See which products we’ve uncovered in our best WordPress security solution reviews. 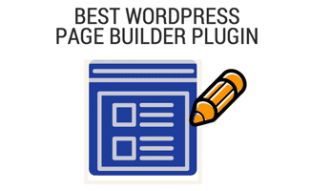 We’ve included several options for your specific needs, and while many of these solutions offer “plugins” for WordPress, many of them are fully featured cloud-based services that run independently of WordPress. What Are My WordPress Security Options? You have multiple types of WordPress site security options based on the type of service and coverage you need. It’s a confusing decision, even for tech savvy folks. What we need to clarify upfront is that the “best WordPress security plugin” is not always going to be a plugin. Many of these security services are fully-featured security solutions that reside on external servers and are available for any website platform, not just WordPress. They may offer a plugin to interface with their service, however. Some are offered as fully featured plugins that you can just install and run with. We’ll make that distinction clear and what’s involved as we review each service. What’s more, some of our top recommendations fall into several categories because they offer multiple means of security, i.e., Wordfence gives you an all-in-one solution for a WAF (Web Application Firewall), malware scanning and site integrity features. Sucuri Security is a global leader in WP website security and our pick for the best WAF — as well as a solid choice for malware scanning (see our best malware scanner winners below). The Sucuri Security Platform includes a top-notch, cloud-based WAF, malware and blacklist monitoring and cleanup, and security monitoring at WordPress core and server levels. Sucuri is an excellent option if you’re looking for combined WAF and malware protection. After testing several security solutions, this is the one we opted for on We Rock Your Web. We’ve so far had one major malware attack that Sucuri successfully analyzed and defeated. Sucuri also saves your activity monitoring log in the Sucuri Cloud (if you take advantage of the additional WP plugin interface) so that hackers can’t delete your files. While expensive, Sucuri requires little legwork because most of the scanning and back-end work is either automated or via a single-click process. The following pricing is for one website for their security platform, which includes malware protection. The price goes down a bit if you only want the firewall, but we recommend against that. You can also save by paying annually. Cloudflare is a robust content delivery network (CDN) that offers a free WordPress plugin, which gives you one-click installation of settings specifically developed for the WordPress platform. With the free version, you get a strong WAF with protection against DDoS attacks and automatic cache purging. Cloudflare offers higher level DDoS protection with its paid plans. If you’re looking for application level security scans in addition to a WAF, you’re out of luck here. Cloudflare doesn’t offer malware protection, blacklist removal, security or monitoring for file changes. Incapsula is another CDN like Cloudflare that gives you a powerful DNS-level WAF and other security features for ecommerce and sites that deal with sensitive data (Inpapsula is also one of our top picks for site integrity features). Incapsula can also help your website load faster since their servers will absorb much of the bandwidth (and clean it) before it hits your server. Their control panel gives you detailed information on each hacking attempt, and it allows you to act on that information. Incapsula’s standout security features include DDoS protection, SQL injection protection, XSS attack protection and backdoor protection. It also does a great job of protecting your site from spam, malicious bots and the Open Web Application Security Project’s Top 10 Vulnerabilities. Incapsula, however, doesn’t offer application level security scans, like malware and blacklisting. You can test drive Incapsula with their 14-day free trial of the Pro version. SiteLock is another CDN with a strong DNS-level cloud-based WAF. All of their plans include daily vulnerability scans, automatic malware removal and basic DDoS protection. Their premium plans give you advanced DDoS protection, file change monitoring and protection against cross-site scripting, RFI, SQL and XSS injection, and OWASP top 10 threats. Their Enterprise level provides backdoor protection and blacklisting of IP addresses, web clients or entire countries. SiteLock partners with many hosting companies, like Bluehost, to offer their basic plan as an add-on. SiteLock offers four pricing plans, but you must contact SiteLock for a quote. With more than two million active installs, Wordfence is the go-to solution for many businesses, government agencies, bloggers and more. Wordfence is the only service in our reviews that we include in all three “best of” categories. Their free plugin gives you an excellent DNS-level WAF, protection against brute force attacks and a real-time threat defense feed. You can get country blocking with an upgrade. Regarding malware scanning and other security features, Wordfence’s plugin scans for over 44,000 known malware variants. The premium version adds more frequent scans, two-factor authentication, password auditing, spam and spamvertising checks. The following prices are for a one year license. Wordfence offers significant discounts if you purchase their API key for multiple years. Wordfence wins our top spot as the best malware scanner (and is the only service in our reviews that we include in all three “best of” categories). Their free plugin scans for over 44,000 known malware variants and and covers all the places hackers can hide — core files, themes and plugins for malware, code injections and backdoors. It also checks URLs against Google’s safe browsing list and scans for DNS changes. The premium version lets you scan as often as every hour. Wordfence also provides an excellent DNS-level WAF, protection against brute force attacks and a real-time threat defense feed. The premium version adds country blocking, two-factor authentication, password auditing, spam and spamvertising checks. 6Scan is an old-timer in the security world and was the first automated security suite. This WordPress security solution has a decent set of features but isn’t quite up to par with the top players. There’s no free version, and the Starter plan only gives you monthly malware scanning and blacklist protection. To get unlimited malware scanning you have to fork over a whopping $800+ per year. We recommend you look elsewhere for more robust and cheaper security solutions. The following pricing is for one site license. Jetpack is a widely used plugin in the WordPress world. 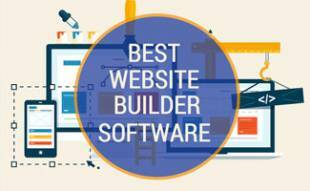 This plugin has many different modules that perform a range of functions, including site design, marketing and security. Jetpack’s free Protect module guards against brute force attacks and gives you two-factor authentication and secured logins. You’ll need to go with their Premium or Professional plans to get malware scanning, code scanning and threat resolution. Jetpack can be a good solution if you plan on using several of its modules, but for security alone, you can find better options. All of the following prices are for a one-site license with updates and tech support for one year. Sucuri Security is a global leader in WP website security and offers excellent malware scanning, in addition to being our top choice for the best WAF for WordPress. Sucuri is an excellent option is you’re looking for combined WAF and malware protection. After testing several security solutions, this is the one we opted for on We Rock Your Web. We’ve so far had one major malware attack that Sucuri successfully analyzed and defeated. iThemes has been producing top-notch WordPress themes, plugins and more since 2008. Their security plugin is an industry leader, giving you more than 30 ways to protect your website. iThemes offers one of the most popular free WP security plugins, but to get a much-needed layer of extra protection, you’ll want to go for their Pro package, which includes two-factor authentication, file change detection, scheduled malware scans, Google reCAPTCHA integration and more. iThemes Security also detects hidden 404 errors on your site that can affect your SEO, such as bad links and missing images. You can test drive iThemes Security with their free version. All of iThemes Security pricing plans include one year of updates, ticketed support and 10 iThemes Sync sites (unless otherwise noted). BulletProof Security is easy on the budget, but that’s about all that’s easy with this WordPress plugin. Not meant for beginners, BulletProof takes a lot of manual configuration with a confusing and quirky interface. The free version offers a decent set of tools, including login security, idle session logouts, regular database backups, and .htaccess website security protection to protect your site against XSS, RFI, CRLF (Carriage Return Line Feed) injection, CSRF (Cross Site Request Forgery), Base64, Code Injection and SQL Injection attacks. With the pro version, you get a real-time file monitor, and you can secure your ‘wp-admin’ folder and Root website folder with a single click. BulletProof Security is a one-time purchase that gives you lifetime updates and lifetime tech support. In addition to a strong WAF, Incapsula gives you a ton of high-level security features to enhance your basic protection. Incapsula’s control panel gives you detailed information on each hacking attempt, and it allows you to act on that information. Their standout security features include DDoS protection, SQL injection protection, XSS attack protection and backdoor protection. It also does a great job of protecting your site from spam, malicious bots and the Open Web Application Security Project’s Top 10 Vulnerabilities. In addition to providing powerful firewall and malware scanning features, Wordfence gives you fantastic tools to protect the integrity of your website. Wordfence maintains a record of every WP core, theme and plugin file ever released to the official WordPress repository. They use their source code verification feature to tell you what’s changed and help you repair hacked files. The premium version adds two-factor authentication, password auditing, spam and spamvertising checks. It’s important to keep several WordPress best practices in mind to ensure your site’s basic security. Check out the following video for some great tips. Want To Learn More About DNS-Level Security? 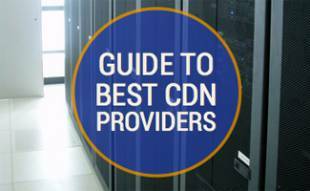 Checkout our best CDN comparison reviews, along with other companies to consider for your WordPress security needs. What’s the biggest website threat you’ve had to manage? SiteLock is an EIG scam where they put files in you directory, take your site offline until you pay a ‘Cleaning fee’ of $200 and sign up for a year’s ‘Service’ at another $500. Cloudflare is not security – It add some security focused elements like TLS, but does not protect your site fully or properly. WordFence or iThemes are the only ones that have stood the test of time. Sucuri is vastly overpriced for what it is. Great post! Thanks for sharing this wonderful WordPress stuff. Activity Log. This plugin has the greatest ability to track and monitor all the activities of your users in your website. It also helps admin to get notified if any, selected user logged in at the admin area.